FDA Cleared For Men & Women. Kiierr Laser Hair Caps Give You REAL Hair Growth In Just 30 Mins Every Other Day! Thousands of men and women have grown thicker, fuller hair and gotten their confidence back in the process! The low-level light therapy (LLLT) used in the Kiierr Laser Hair Cap is clinically proven to treat hair loss. Kiierr Laser Caps for hair loss are portable, powerful and hands-free specifically designed for ease of use. Laser Caps have treated millions of patients with laser therapy for hair growth treatment, and we’ve noticed that the easier and more powerful the device, the better the hair growth results. That’s why we created Kiierr to be the most powerful, easiest laser hair growth device on the planet! Hair Growth In Just 30 Mins Every Other Day! Get Your Hair Back Like It’s 1999! those frail follicles transforming into thick & healthy hair once again! In as little as 30 days you’ll start seeing those frail follicles transform into thick & healthy hair once again! We stand behind the effectiveness of our products 100%. Try any of our laser caps (148 or 272) or complete hair growth system today risk free. If you do not see results after 7 months, you can return your products for a full refund. We pride ourselves on being #1 in customer service with zero hassle returns and extremely helpful customer service staff to help you along the way. The Kiierr laser hair growth cap is a powerful, cutting-edge low-level laser device for the treatment of androgenetic alopecia (pattern baldness). The 272 independent laser diodes are contained in a sealed unit that is powered by a lithium battery. The unit is inserted into the black cap that we provide or any hat or cap that you choose. A carrying case and battery charger are included. Kiierr laser technology is backed by clinical trials and cleared by the FDA for the treatment of hair loss. Laser hair growth treatment is a revolutionary new option for those who suffer with laser cap for alopecia (hair loss based on genetics). 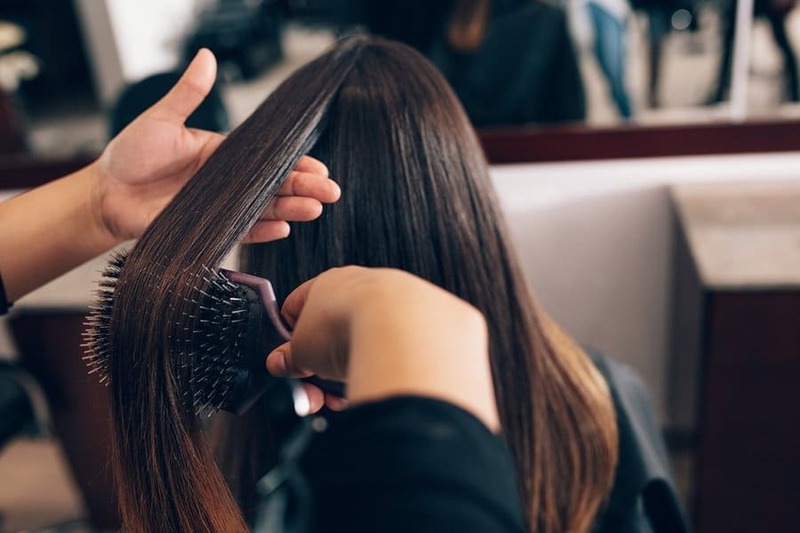 The Kiierr technology is completely portable, and you can grow hair inconspicuously anywhere at any time: at home, at work, driving, running errands. The Kiierr Cap improves cellular respiration and stimulates hair follicles through the use of low-level light therapy (LLLT). Scientific studies have demonstrated that this technology produces thicker and healthier hair. Both the studies and governing certifications attest to its safety and effectiveness. Until recently, this technology was available only through expensive procedures performed by physicians. Now, you can have it right in your own home for a more comfortable, more time-efficient method of treating hair loss. Until recently, this technology was available only through expensive procedures performed by physicians. Now, you can have it right in your own home for a more comfortable, more time-efficient method of treating hair loss. The good news is, nowadays, laser hair growth devices are easily accessible and affordable! It’s completely portable. Fight hair loss and grow thicker hair at home, at work, while walking, driving—anywhere! It’s hands-free and fits into any standard ball cap (unlike the laser hair comb). It’s an effective treatment for thinning hair and androgenetic alopecia in both men and women. It’s a clean method—no dirty or wet hair during or after use. It can be used with other therapies, products and treatments. Means your safe and can have peace of mind. Does it really work? Yes it’s scientifically proven and FDA cleared. Do Kiierr Laser Caps Work For Both Men and Women? Yes. Kiierr Laser Caps are FDA cleared to promote hair growth for both Men and Women. In addition all Kiierr hair growth products work great for both Men and Women! How are Kiierr Laser Caps different from Capillus laser caps? Kiierr Laser Caps are almost perfectly comparable to Capillus Laser Caps. Compare the Kiierr272Premier Laser Cap to the capillus272pro. The major difference as you have likely seen is the price: with Kiierr, you get FDA Cleared top-quality laser diodes, the same all-over scalp coverage, 100% automated technology, 100% portable and even a comparable total package (including everything you need for at-home treatments or on-the-go) for 1/4th the price. In our minds, delivering our customers with the best possible hair growth product at an affordable price will help even more people fight hair loss. What does Kiierr do better than Capillus? While our laser diodes are perfectly comparable in quality to the capillus272pro, the battery that we use to power our Laser Caps utilize greater output, resulting in a more consistent output for longer stretches of time. While Capillus markets their newest products as “flexible”, our experts feel this unnecessary, could result in lost function, stability and consistency of output. As a result, Kiierr caps provide a sturdier laser canvas that is capable of standing up to very consistent long-term use. Capillus has products they claim to only need 7 mins of treatment time, what about Kiierr? Our Kiierr LLLT laser cap experts (who have completed clinical testing on 280 subjects and co-authored 3 papers on LLLT devices) state that based on clinical data, a minimum of 20 minutes of use every other day is needed for optimal results. 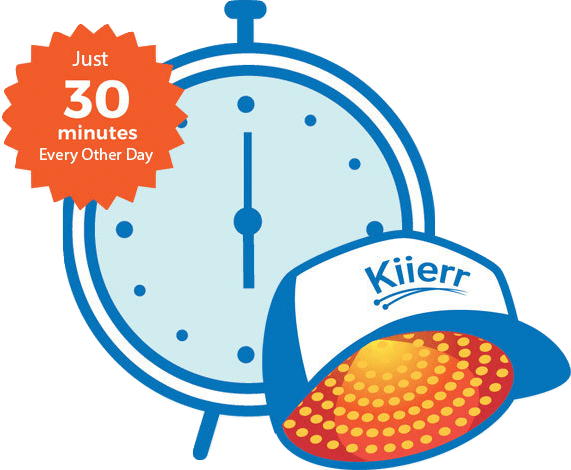 Therefore, Kiierr caps are equipped with automated 30 minute programming to provide maximum hair growth results. Our customer service is second to none, whether you’re just starting to shop for laser caps and have questions, or you’re 2 months through your treatment and need support. Our incredible Kiierr staff is always here to help!! 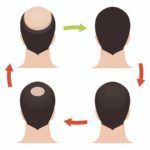 Results vary depending on the degree of hair loss when you begin. Hair growth starts at the cellular level. The majority of users, after using the Kiierr272Premier Cap as directed, typically report visible changes in four to five months. Hair becomes thicker, fuller and healthier in approximately six months in most cases. Will I Experience Pain Using Kiierr Low Level Light Laser Caps? No. You will not experience any pain during your use of Kiierr LLLT Caps whatsoever. The experience for most patients is very calming and therapeutic. Why should I use Kiierr rather than go to a clinic? The Kiierr system is one of the most powerful and comprehensive hair growth systems developed for at-home use and has an equivalent or better output as compared to most in-clinic lasers. There is no contest in convenience. You can use the Kiierr system at home, in the office, driving—wherever, whenever you want! What is the Kiierr Laser Hair Growth Cap recommended treatment time? Thirty minutes a session every other day. Yes. Medical doctors, including dermatologists, in the United States, Europe and Asia have been prescribing LLLT for patients suffering from androgenetic alopecia for many years. How does Low Level Laser Light Therapy work for hair growth? Hair is constantly growing, resting and then shedding the old hair shaft before growing again. With pattern hair loss, the hair becomes progressively thinner and lighter in color with each growing cycle. The cycle keeps repeating until the hair follicle is atrophied. Low level laser light therapy improves cellular respiration, so that hair stays in the growth phase longer, reducing the duration of the dormant stage. This results in the hair growing back thicker and darker, with the hair loss being reversed, stopped or slowed down. Is there a warranty if my Kiierr Cap stops functioning properly? Yes. If you experience issues (very rare) with your device functioning properly, we will pay for return shipping and quickly ship you back a new device. Our warranty covers your Kiierr Cap for two years from the date of purchase. It protects against factory defects and workmanship errors. If your unit has stopped functioning within this time period, please contact our customer service department, so that we can help you with your warranty return. so you can feel 100% safe. Easy, discreet at home use.